Phil Vinson grew up in Fort Worth, fascinated by the city’s visual icons—Mrs. Baird’s Bakery on Summit Avenue, historic Thistle Hill, the tower at the Will Rogers Complex, the Tarrant County Courthouse, the Texas Electric smokestacks, the art-deco design of the Texas & Pacific depot, the Paddock Viaduct. He started making photographs while still in his teens but says it was as an adult that he rediscovered the visual richness of his hometown. Once he started photographing, he couldn’t stop. For the past four decades, through careers as a journalist, photographer, and teacher, he has spent the weekends driving around taking pictures. Vinson has particular respect for subjects that have been around for enough years to acquire a certain dignity and nobility. Aware that the days of many of these old structures may be numbered, he has tried to document such buildings as the Seventh Street Theater before they disappeared to the wrecking ball. 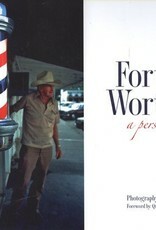 Fort Worth is well documented in photographs, but in many photographs Vinson has moved beyond documentation to a more intimate, personal view of the city, looking for dramatic light and compelling visual design, focusing on architectural details and graphic possibilities not obvious at a casual glance. He used to tell students that you can’t get too close to a subject. 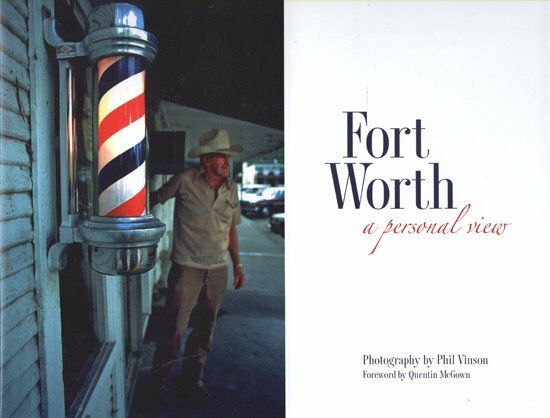 While most of the photographs in this collection focus on Fort Worth, Vinson, who lived in Childress as a small child, is also drawn to rural or small-town subjects and includes here pictures taken on weekend drives to small communities in North and West Texas.